Since its inception in November of 2007, West Advisory Group has been dedicated to improving the financial well being of individuals in the Western New York area. The numbers tell the story behind West Advisory Group’s vision. According to a study done by Jump $tart Coalition, 9 in 10 students who graduate from high school lacks basic skills in the management of personal financial affairs. It’s scary to think that 90% of our future workforce is deficient in the area of finance. 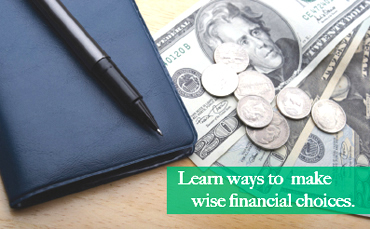 Many are unable to balance a checkbook and most simply have no insight into the basic survival principles involved with earning, spending, saving, and investing. Many young people fail in the management of their first consumer credit experience, establish bad financial management habits, and stumble through their lives learning by trial and error. West Advisory Group is committed to providing services that will allow individuals from all economic backgrounds to receive a stellar education in the area of finance. This knowledge will empower young people so that they can put an end to a vicious cycle of ongoing credit card debt, living above one’s means, and disproportionate income to debt ratios.